Many A/V enthusiasts go to great lengths to carefully set up major system components, but pay little attention to the source, the AC power. Meticulous build quality is a large part of the engineering equation. Furutech Pure Transmission technology turns a macro lens on every element of power and signal transfer applying optimized engineering solutions to well-known problems such as contact resistance, EMI and RFI rejection, grounding, and using the best materials and processes available. 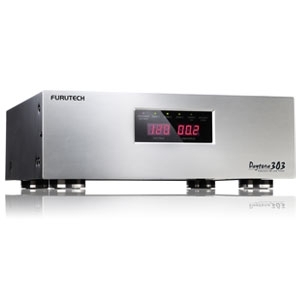 Furutech Daytona 303 Featuring Automatic Disconnect/Reconnect Protection Circuitry Stage 3 Filtering dramatically reduces induced, radiated and ground-borne noise 12 Surge-Protected AC outlets, 3 pair protected coaxial connections, and 1-in/2-out fully-protected phone line connections! The Daytona 303 is designed for Pro A/V Installations The Daytona 303 delivers dramatic audio and video performance plus truly comprehensive home theater and audio system protection. 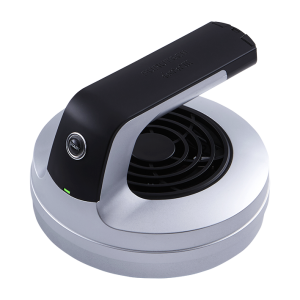 It’s specifically designed for professional installers working with high-end home entertainment systems, recording and touring venues. Furutech equipped the unit with these enhanced features: • Digital readout to simultaneously monitor voltage and current • Surge-protected phone connections • 3 pairs of protected 2.5GHz coaxial connections • 3 remote trigger controls • Front and back XLR lamp connectors so you can see what you’re doing! 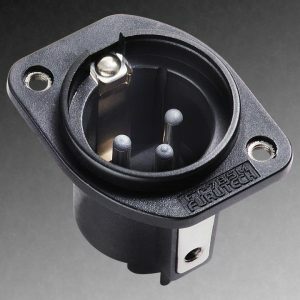 The Daytona 303 Cleans AC Power for Better A/V Performance The Daytona 303 filters both AC line noise and reduces noise generated by other connected components in the system. This pro-level unit features 3 ultra-advanced isolating filter sections including 2 analog audio filters and 2 digital filters, plus 2 ultra-high-current audio filters. The result is robust AC power line noise rejection plus high-level inter-component isolation for top-level reproduction. Formula GC-303 GC-303 is a special material Furutech bonds to the interior bottom-plate of the chassis. 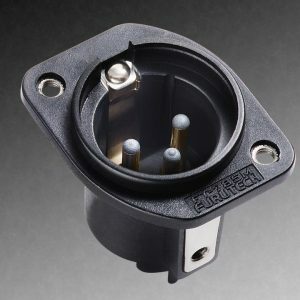 (See illustration below) that absorbs EMI (Electromagnetic Interference) generated by the internal fittings of the unit. Provides the World’s Most Advanced Protection for Your Valuable Components The Daytona 303 offers complete, comprehensive surge protection with an enormous 5250 joule capacity. 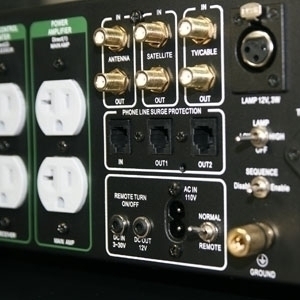 Computer-controlled surge and voltage protection circuits monitor line voltage and disconnects instantly when dangerous over- or under-voltages occur, then reconnects the unit after the power returns to safe levels, protecting your gear. The Daytona 303 Performance Envelope Furutech recognizes that convenience is as important as function, and that’s why the Daytona 303 is rack-mountable for easy integration into custom-installed rack-mount systems, with a convenient XLR lamp connector on the back of the chassis making it easy to see what you’re doing! The Complete Power Solution The Daytona 303 offers complete, comprehensive surge protection, power conditioning plus pro-level convenience features to protect the significant investment you’ve made in your system. Dramatically improved image and sound are the improvements you’ll see and hear first time, every time. 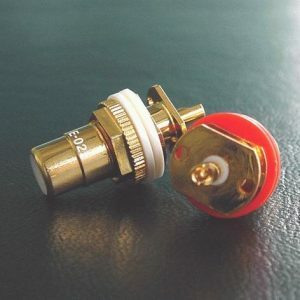 100V AC 50/60Hz 1500 VA 120V AC 60Hz 1800 VA 15 A Max.